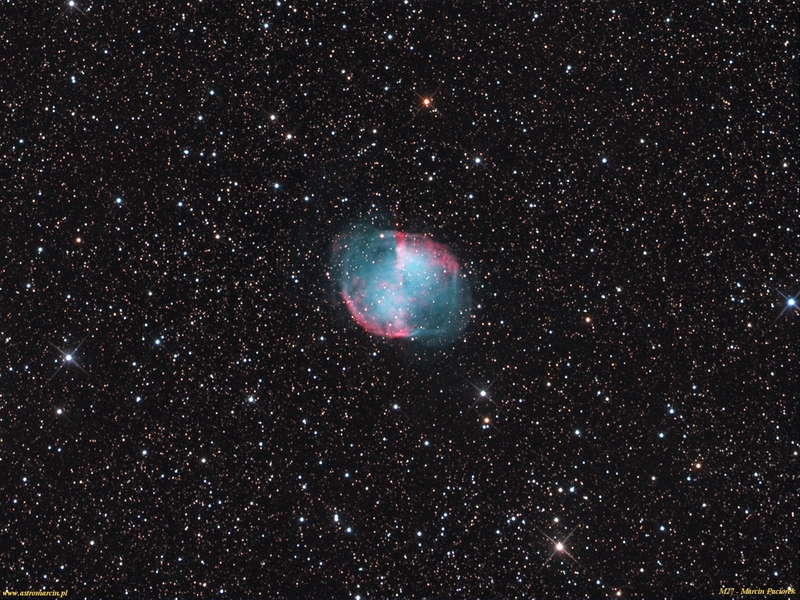 M 27 (The Dumbbell Nebula ) is a planetary nebula in the constellation Vulpecula, at a distance of about 1,360 light years. 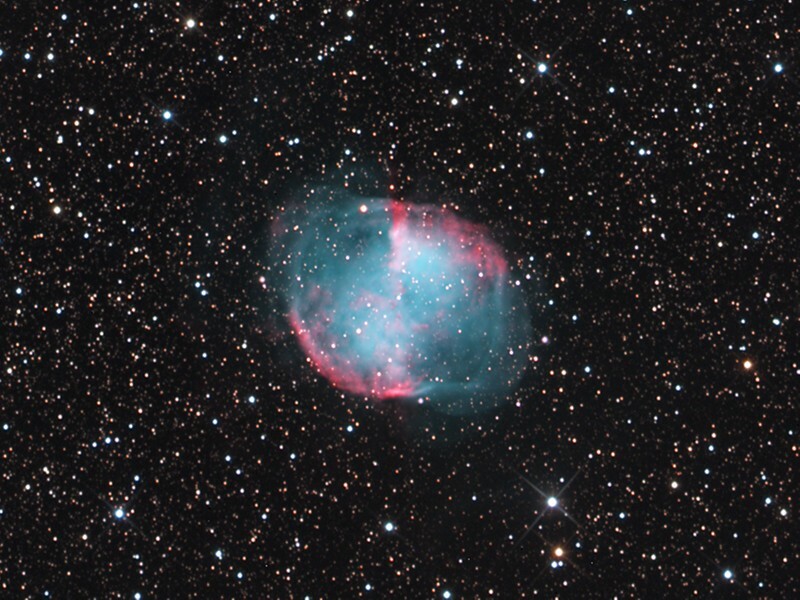 This object was the first planetary nebula to be discovered by Charles Messier in 1764. Very popular object for astrophotography and visual observation.